At the turn of the 20th century, John Burroughs ranked among America’s most popular authors. The distinguished naturalist possessed a special gift for sharing his close observations in an engaging style that combines scientific accuracy with a grand poetic expression. 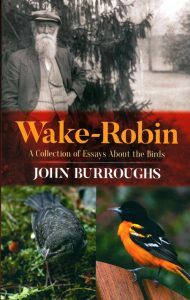 This 1871 collection of essays, his first on nature, focuses on one of his favourite topics, birds, particularly those of the Adirondack and Washington, D.C. regions. Artist/Author: Beolens, Bo, Michael Watkins and Michael Grayson. Birdwatchers often come across bird names that include a person’s name, either in the vernacular (English) name or latinised in the scientific nomenclature. Such names are properly called eponyms, and few people will not have been curious as to who some of these people were (or are). Names such as Darwin, Wallace, Audubon, and Gould are well known to most people. Keener birders will have yearned to see Pallas’s Warbler, Hume’s Owl, Brunnich’s Guillemot or Stephanie’s Astrapia. But few people today will have even heard of Albertina’s Myna, Barraband’s Parrot, Guerin’s Helmetcrest or Savigny’s Eagle Owl. This extraordinary new work lists more than 4,000 eponymous names covering 10,000 genera, species and subspecies of birds. Every taxon with an eponymous vernacular or scientific name (whether in current usage or not) is listed, followed by a concise biography of the person concerned. These entries vary in length from a few lines to several paragraphs, depending on the availability of information or the importance of the individual’s legacy. The text is punctuated with intriguing or little-known facts, unearthed in the course of the authors’ extensive research. Ornithologists will find this an invaluable reference, especially to sort out birds named after people with identical surnames or in situations where only a person’s forenames are used. But all birders will find much of interest in this fascinating volume, a book to dip into time and time again whenever their curiosity is aroused. Following the success of “Natural Histories,” this is the next compendium in this well-received series that marries art and thought-provoking science. 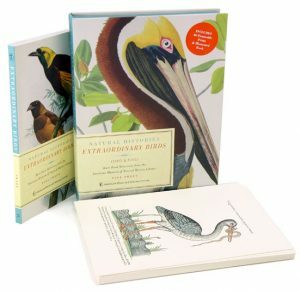 American Museum of Natural History ornithologist Paul Sweet takes readers on a migratory journey across the globe, introducing them to unique and exquisite birds, as well as to groundbreaking avian studies from the past 500 years. 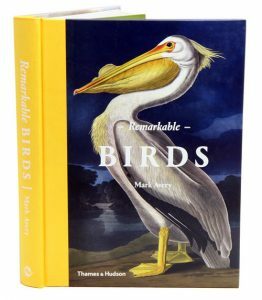 Featuring 40 frameable prints and an equal number of fascinating, in-depth essays, this stunning collection gives bird lovers a precious look at illustrated ornithological monographs from the museum’s rare book collections. Artist/Author: del Hoyo, Josep, Andrew Elliott, Jordi Sargatal and David A. Christie, editors. Lynx’s commitment with the Handbook of the Birds of the World Series has been to cover in detail and illustrate every species of bird in the world. 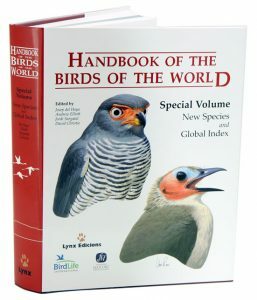 This task has taken from 1992, with the publication of Volume 1, to 2011 with the publication of Volume 16, covering the last families of birds. However, a number of species genuinely new to science have been described since the publication of their respective volumes, and therefore are not featured in the 16 volumes of HBW. The Special Volume covers and illustrates all of these species, some 68, with texts, plates and distribution maps in the classic HBW format. Also, in response to the many requests from subscribers over the years, the Special Volume will include a comprehensive, global index to the collection, a useful tool which will enable users swiftly to find the species they are searching for in the more than 12,500 pages of the 16 volumes. 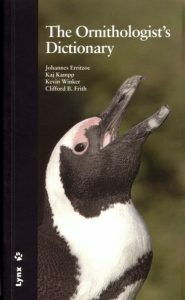 An unexpected addition to this volume is a section including the original scientific descriptions of some 12–17 species (final number pending peer-review process), all totally new to science. These descriptions are the combined work of a number of renowned Amazonian ornithologists, and highlight the massive importance of the world’s largest area of tropical forest. The inclusion of all these scientific descriptions in the Special Volume is of some additional significance because to find so many species described simultaneously, in the same paper, one has to go back well over a century. From the initial projected list for the volume of 53 species, this volume presents an overall total of 80–85 new species, including those described directly in the volume. Nature guide birds of the world. Part of a new generation of compact natural history guides, “Birds of the World” is packed full of stunning images that reveal intricate details and unique characteristics of the species featured. Expertly written and including examples from across the globe, these guides will give you knowledge of the natural world at your fingertips. 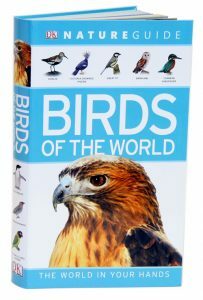 With a detailed introduction all about bird classification, anatomy, migration, habitats and flight, “Nature Guide Birds of the World” is the ideal bird identification guide. Many scientific bird names describe a bird’s habits, habitat, distribution or a plumage feature, while others are named after their discoverers or in honour of prominent ornithologists. 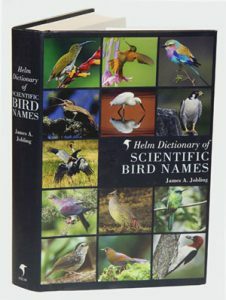 This extraordinary work of reference lists the generic and specific name for almost every species of bird in the world and gives its meaning and derivation. In the case of eponyms brief biographical details are provided for each of the personalities commemorated in the scientific names. This fascinating book is an outstanding source of information which will both educate and inform, and may even help to understand birds better. The ornithologist’s dictionary or ornithological and related technical terms for layman and expert. Artist/Author: Erritzoe, Johannes et al. 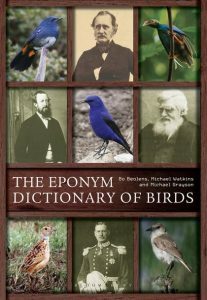 An invaluable reference resource written in succinct language and with a user-friendly layout, this dictionary is ideal for both amateur and professional ornithologists. The more than 5,000 definitions of words and terms of interest to ornithologists are brief and to the point, at the same time as being comprehensive and clear. A practical, portable and easily manageable volume that every ornithologist will want always to keep close to hand.